Good soldiers of Sheen UNITE! LAUNCH ALL TRUTH TORPEDOES! Charlie is not afraid of telling the truth. He doesn't lie about his past, he just tells it how it is. He likes eight balls of rock and prostitutes. Who doesn't? 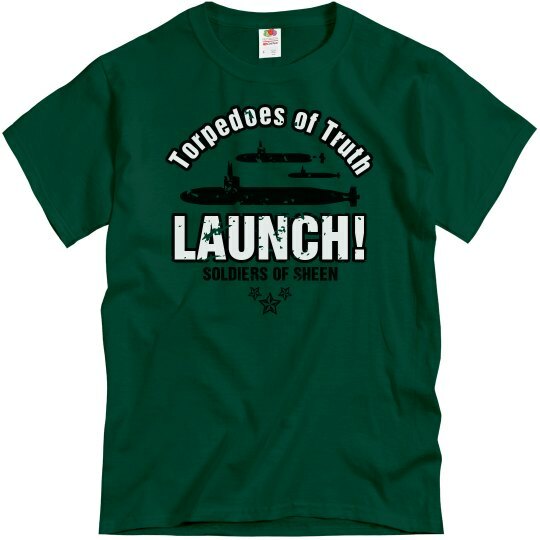 Custom Text: SOLDIERS OF SHEEN | Torpedoes of Truth | LAUNCH!